Abstract: Diabetes and its microvascular complications in patients poses a significant challenge and constitutes a major health problem. 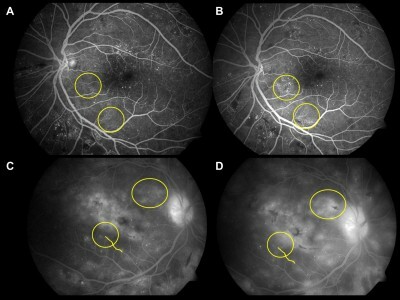 When it comes to manifestations in the eye, each case of diabetic retinopathy (DR) is unique, in terms of the phenotype, genotype, and, more importantly, the therapeutic response. It is therefore important to identify factors that distinguish one patient from another. Personalized therapy in DR is a new trend aimed at achieving maximum therapeutic response in patients by identifying genotypic and phenotypic factors that may result in less than optimal response to conventional therapy, and consequently, lead to poorer outcome. With advances in the identification of these genetic markers, such as gene polymorphisms and human leucocyte antigen associations, as well as development of drugs that can target their effects, the future of personalized medicine in DR is promising. In this comprehensive review, data from various studies have been analyzed to present what has been achieved in the field of pharmacogenomics thus far. An insight into future research is also provided.